Still in the midst of an incomparable singles winning streak, Chuck Mambo captured the Brighton Championship belt in a grueling three-day tournament in August 2018. In toppling the detested Spike Trivet to become RIPTIDE’s first title-holder, ‘the gnarliest wrestler in the world’ was mobbed by adoring fans in an unforgettable scene. 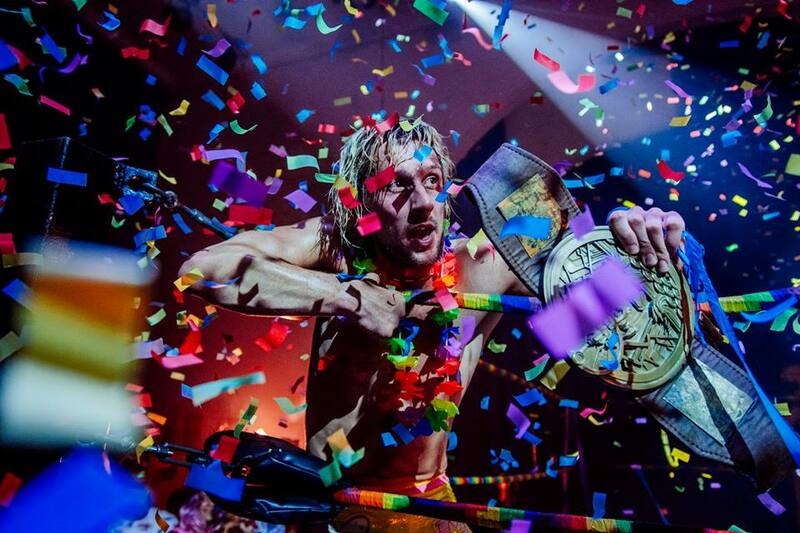 Mambo also holds the distinction of being the 2018 RIPTIDE Rumble winner, and has defeated world-class talent such as Chris Brookes, Zack Gibson and Jordan Devlin on his quest for the title. Vowing to defend the belt against all comers, Mambo has notched up successful defenses so far in intense battles against his close friend Eddie Dennis, and veteran ‘Overkill’ Mark Haskins. RIPTIDE is full of popular stars, but the Brighton faithful have spoken: “Mambo is our champion”. A range of Chuck Mambo merchandise can be bought over at Chuck Mambo’s webstore. Official RIPTIDE Wrestling merchandise can be found here.